Can Your PMs Answer These Questions? 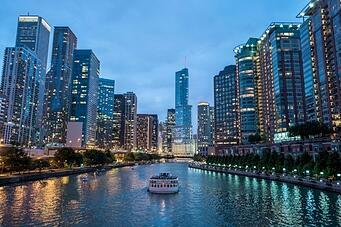 Project managers are the unsung heroes of many architecture and engineering firms. Tasked with guiding project teams and serving clients’ needs, project managers need to navigate often-competing demands while continuously leading projects toward successful outcomes. The process involves rigorous planning, organizing and resource management, all within the context of a project’s scope, schedule, and budget. As critical as it is for the project manager to orchestrate activity within the project environment, it is equally important to manage projects within a larger context—the firm. Making the leap from focusing solely on project team and client issues to guiding a team toward achieving larger strategic objectives requires training not often provided to project managers. 1) What strategic objectives led the firm to pursue the project? 2) What key factors presented in the proposal and/or at the interview contributed to the client selecting the firm? 3) Was there a relationship(s) that led to the decision to pursue the project and did this relationship contribute to securing the project? 4) Who are the key people within the client group that can provide testimonials and whose references will have the greatest impact on winning future commissions? 5) Are there key project consultant relationships that could lead to future prospects and, if so, how can they be nurtured? 6) What are the client’s measures of success and where do obstacles exist that might keep the team from obtaining these measures? 7) What are the client’s most challenging issues that must be addressed and overcome? 8) What design opportunities could motivate the team and enhance the firm’s reputation? 9) What opportunities exist for innovation and incorporation of new technologies? 10) What opportunities exist for strengthening the firm’s expertise or creating expertise in new areas? 11) Are there marketing opportunities in the pipeline that could benefit from specific process documentation or presentation materials? 12) What other projects or resources are available to improve the outcome and, conversely, how can this project contribute to other firm-wide initiatives? 13) What, if any, fee-related concessions were made and why? 14) What are the firm’s profitability goals and what obstacles might adversely impact achieving these? 15) How can this project benefit the professional development of each team member? 16) What opportunities exist for team members to develop experience suitable for positioning them for future marketing efforts? 17) What lessons learned and new project approaches should be shared with others in the office? About the Author: Stephen Epstein is a strategic advisor with Strogoff Consulting, Inc. Prior to joining Strogoff Consulting, Stephen was a Principal with the awardwinning firm Hardy Holzman Pfeiffer Associates and its successor firm Pfeiffer Partners Architects where he led the financial, operations, human resources, and project performance initiatives. Stephen can be reached at Stephen@StrogoffConsulting.com. 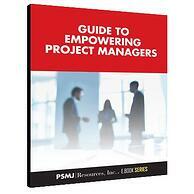 For additional project managment tips, download PSMJ’s Guide to Empowering Project Management, a complimentary ebook designed to synthesize some of our most insightful and action-oriented advice for project managers. What Are The Traits Of The Best Project Managers? Are You a Project Manager or Project Admin?